With still two fixtures left in La Liga, it seems safe to assume that the title race is virtually over by now. Real Madrid slipped at home against Valencia by drawing 2-2 against "Los Che", and are now 4 points behind a very in-form Barcelona on the top of the league. Lady luck wanted nothing to do with Real Madrid tonight, as the Merengues saw their La Liga hopes dissipated at the hands of a tough Valencia side, in what ended up being a thrilling game at the Santiago Bernabéu that finished with a 2-2 draw. Valencia's goalkeeper Diego Alves was the star of the match, denying Real Madrid again and again despite the many attempts from several of the men in white. One of the key moments from tonight's game happened when Cristiano Ronaldo saw his penalty-kick being stopped by the Brazilian goalkeeper, his 21st out of 40 conversion attempts ever since he arrived to Spain, back in 2007. Early on in this match, Madrid's backline, which has come under massive scrutiny in recent games, would show its frailties. A long ball in the air fell to the feet of Paco Alcacer after Pepe was knocked over by the Portuguese midfielder André Gomes. The 21-year-old Spanish international would then rush his chance however, lobbing it high over Iker Casillas' net. 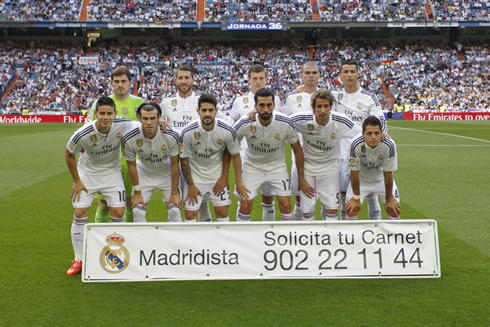 Real Madrid immediately reacted and started piling on the pressure. However and despite their efforts, the woodwork would deny them twice. First from a Gareth Bale free kick that cannoned off the crossbar in the 15th minute. And shortly after, from a Cristiano Ronaldo header off a corner, around the 20th minute. And they would rue those missed chances just two minutes later, as Paco Alcacer made up for his early miss with a close range finish from a cross. Pepe was slow to react and Alcacer's toe poke was just strong enough to squeeze by Iker Casillas and put the visitors on the driving seat at the Bernabéu. As if falling one goal behind wasn't bad enough already, within 26 minutes Real Madrid found themselves 2-0 down and staring the end of their league campaign in the face. Again, poor defending off a set piece lead to Javi Fuego's free header, which would sneak into the corner past an helpless Iker Casillas. 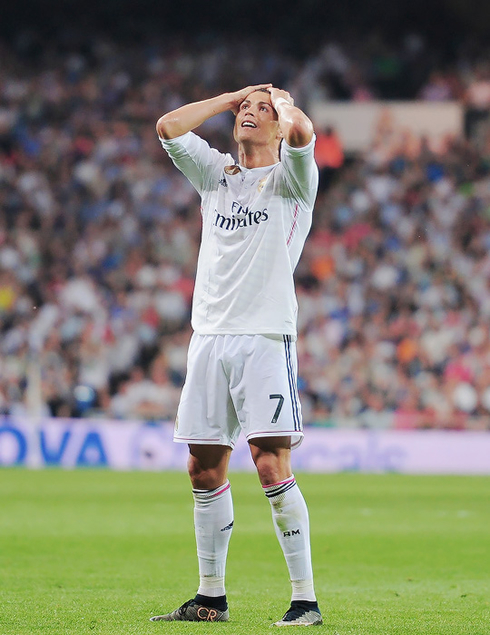 Real Madrid's night would get worse before the 30th minute. Pepe again was at fault, missing the offside trap and playing Javi Fuego on. The veteran midfielder would head the ball into the corner of the net and Madrid found themselves down 2-0 with their title hopes fading quickly. In the 45th minute Madrid would finally have a chance to equalize, after Jose Gaya mowed down Gareth Bale in the box. But facing penalty specialist Diego Alves, Cristiano Ronaldo would see his low shot saved and the rebound fluffed as Madrid went into the break with 45 minutes left to save their season. In fact, Madrid just couldn't get the better of Diego Alves on the night. The Brazilian goalkeeper spent the bulk of the night scampering back and forth all game long, denying the Merengues again and again. Each save seemingly more impossible than the previous one was naturally making the hosts more and more frustrated. With all hope seeming lost however, it would be Isco in the 83rd minute scoring one of the goals of the season. 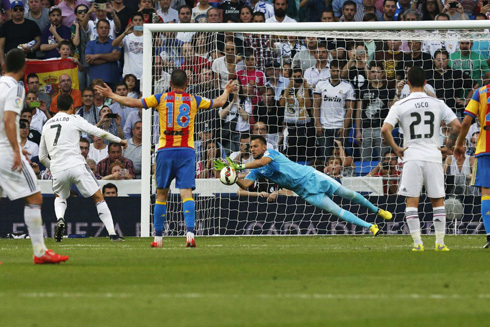 A powerful 25-yard drive from outside the box was earmarked for the top corner and barely out of Diego Alves' reach. 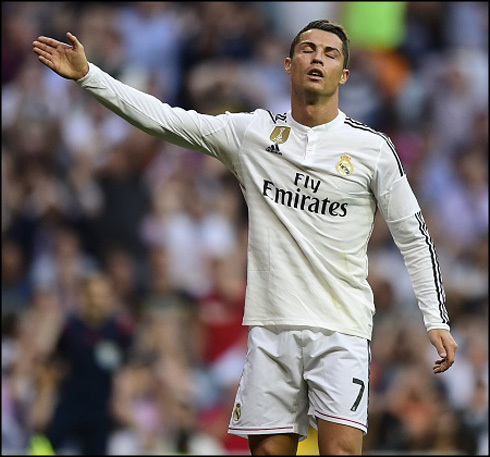 It was 2-2 and the Bernabeu was rocking urging Madrid on to find a winner and keep their season alive. Unfortunately, that third goal wouldn't come and Barcelona have now all but wrapped up the league. With two games left, 3 points will see the Catalan club through. Real Madrid will now focus all their attention on the return leg at home against Juventus, in a game scheduled for this Wednesday. Cristiano Ronaldo next game will be for the UEFA Champions League semi-finals second leg against Juventus, on the 13th of May of 2015. You can watch Juventus live stream, Real Madrid vs Juventus, Bayern Munich vs Barcelona, Manchester City vs QPR, Chelsea vs Liverpool, and Paderborn vs Wolfsburg, all matches provided from our sports live streaming game pages.